[LA1.0] is an audiovisual and kinetic installation exploring the weak nuclear force. [LA1.0] is an artistic interpretation of the concept of radiation, energy and true random numbers. [LA1.0] is a techno-poetic meditation on controlling chaos, radiation, decay, energy, life and death. 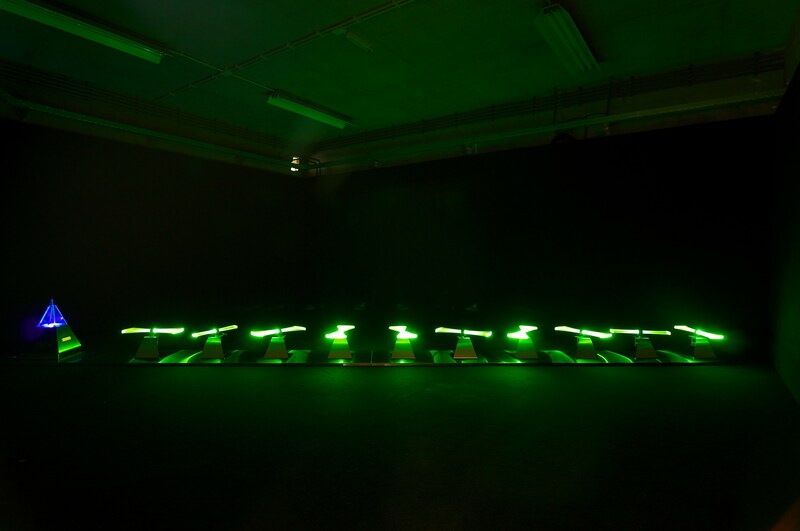 The kinetic and audiovisual installation Lead Angels 1.0 draws attention to human intervention in the environment. The work could be seen as a realization of the Anthropocene. Uranium glass -also known as Great Depression glass or Vaseline glass- has the particular property of emitting a bright acid lime green when lit with ultra violet light. 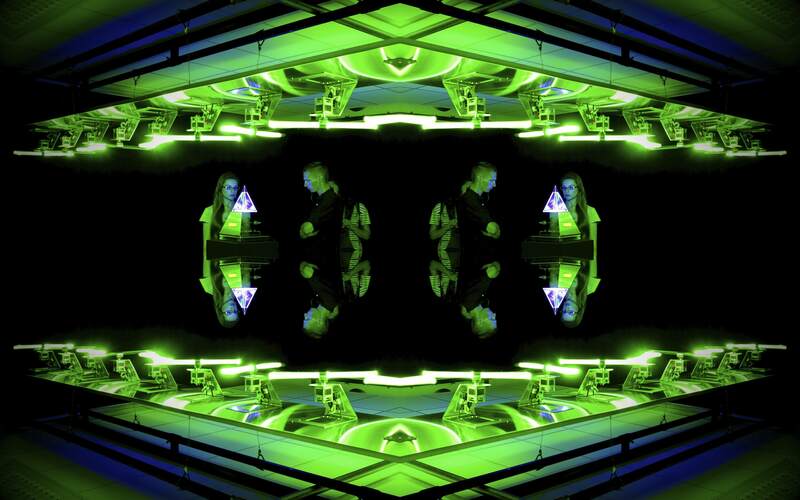 [LA1.0] incorporates hand drawn uranium glass rods placed on stepper motors that rotate and light up under controlled UV light flashes based on radioactive alpha particle decay measurements. Moreover each measurement triggers steps, rotations, directions, different behaviours, uv-flashes and Geiger-clicks. Every kinetic element has a piezo speaker to make individual Geiger-clicks audible. A display shows the Geiger-counts -the half life of the uranium glass-, and by doing so visualizing its own half life or death. 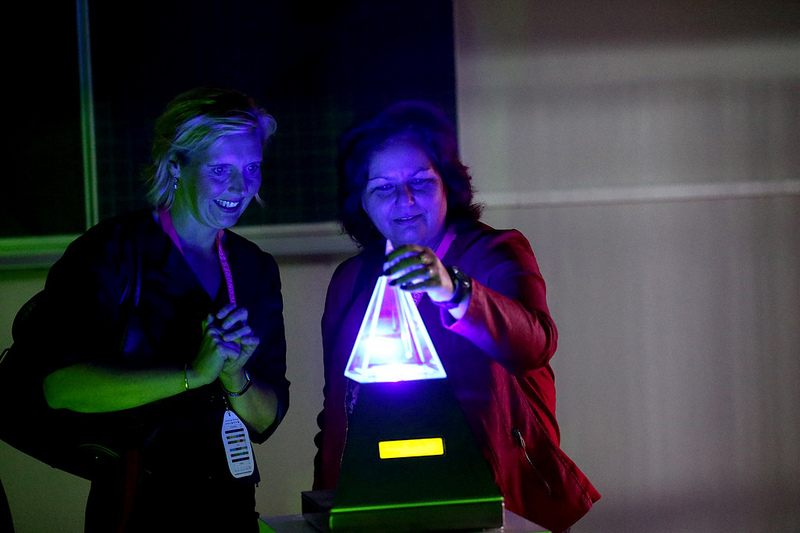 The audience can change the dynamics of the installation by inserting different radioactive samples.